There are many benefits of growing your own potted flowers that can bring great joy to the process. One of them is being able to bring them indoors and create a lovely bouquet. Many gardeners grow what is called "cutting gardens". 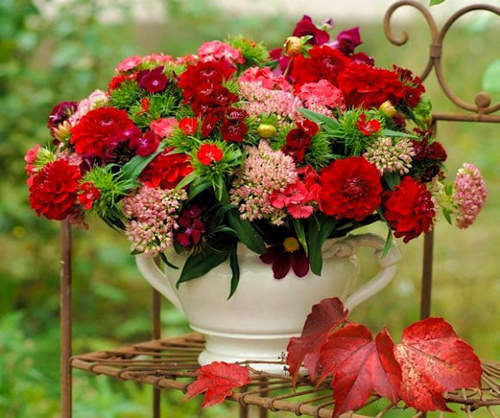 This consist of flower specifically for cutting and making lovely potted arrangements with. These include many flowers that are not really great to grow for landscape but make fantastic arrangement displays. This whole process can be as simple as cutting the flowers carefully and conditioning the blooms before arranging them. 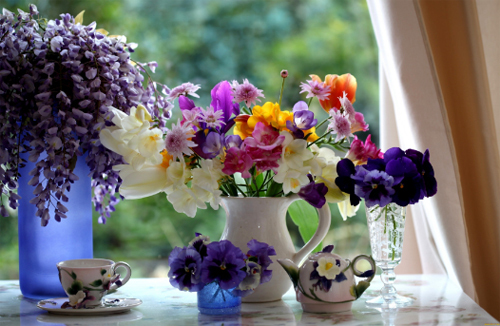 Try cutting the flowers when the sun is low in the morning or evening. Be sure a use scissors that are meant for this purpose and cut at a deep angle to provide as much surface as possible for soaking up water. For most flowers, cut when buds are half open or when some of the buds in a cluster are still closed. We love Zinnias, marigolds, asters, and dahlias. 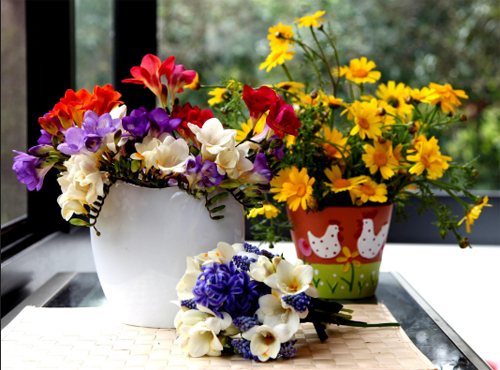 Get the cut flowers into warm water as quickly as possible, their stems being to dry out in as short as a few minutes so this is not the time to stop and chat with a neighbor. 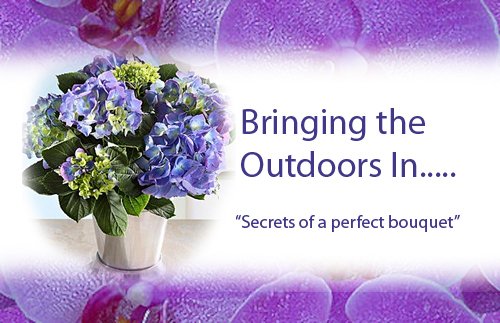 It helps to carry a bucket of water and immerse the flowers immediately after cutting. All the flowers to condition in a cool place for 4 to 12 hours before you use them in a decorative container for the arrangement. Use a container that compliments your decor, holds water and has a waterproof base so you don't get any water rings on your furniture. Arizona Pottery has many containers to choose from. Clay, to Poly or glass are all great to use and fun to experiment with. Read more.....5 Tips for success with tabletop containers! Read more.....7 water loving plants for pottery.